What is a Variation Listing? If you are an online retailer and you just so happen to sell a product that has different colours and sizes , instead of creating a number of listings for an item that has multiple options, you are able to create a single multi-quantity fixed listing. This technique of listing saves valuable time and money while allowing buyers to choose which variation of the product they desire from a single listing. What is considered a Multi - Variation Listing? Socks that are the same brand & style, with different colours. 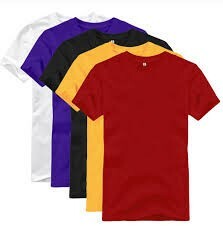 T-Shirts available in different colours & sizes. What wouldn’t be considered a multi-variation listing? Creating Variation Groups in Linnworks. Prior to listing your variation products onto the eBay platform, you must first have your products imported into the Linnworks Software as a Variation Group. This is done by importing a CSV file into Linnworks using the Data Import Tool. You will need to specify that these products are in a Variation Group in the CSV file – using the Basic Product Import you can map the corresponding columns from your file to the necessary columns in Linnworks. After you have imported your inventory and configured you variation group, you will be able to see this in your inventory. Don't forget that you will also need to import your Listing Descriptions using the Product Descriptions & Attributes Import. 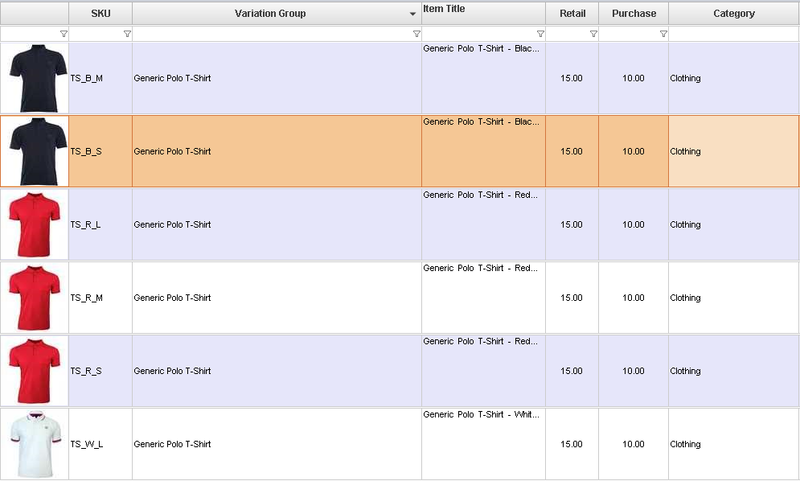 Creating a Multi -Variation Listing on eBay using LinnLive2. LinnLive2 is a bulk listing tool that is available as a completely FREE extension of the Linnworks Anywhere solution. Being a web based application, you can actually list the variations of your products from your browser on the go! LinnLive makes it very easy for you to create multi-variant listings on eBay by using the variation group name defined in your inventory. The variation group name is a way to aggregate multiple stock items into one group. Define eBay configurator’s general settings. Once you have yourself an eBay configurator tailored to your listing specifications you will need to go to the Variations part of LinnLive. This is the interface where all of your variation groups are stored. Here you will need to find the variation group that you have created. When you click on that group you will see a screen of all of the products within that group. You will need to select the main product for that group – all of the product descriptions, images and item specifications will be taken from the products that you select as main. You are now ready to list your variation listing. You can right click on the variation group and list it via the configurator that you just created. It’s recommendable to define which images will be shown for which variation attribute. Inb my example I would use colour and not size. This means that when a buyer selects a different colour – the corresponding image is shown. You can do this by clicking on Variations in the eBay config screen. If there are errors with your listing you are able to view the report. You will then be prompted with a screen listing all of the errors with you listings configuration. You can instantly update prices, titles, descriptions and Images on different channels by right clicking on that account.